Fluffy, sweet and velvety-smooth Cream Cheese Frosting Recipe. 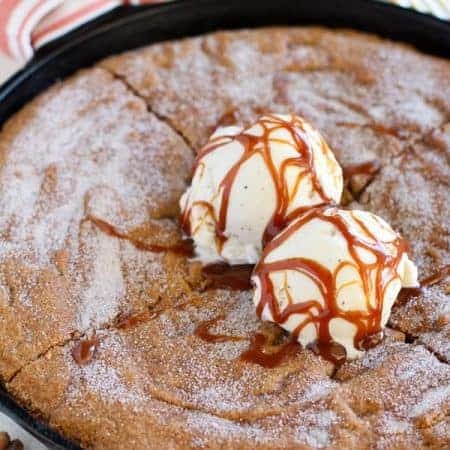 The perfect topping for cakes, cookies, cinnamon rolls, quick breads, and more. This recipe is long overdue. I have shared countless desserts made with Cream Cheese Frosting and it is time that it got a post of its very own. 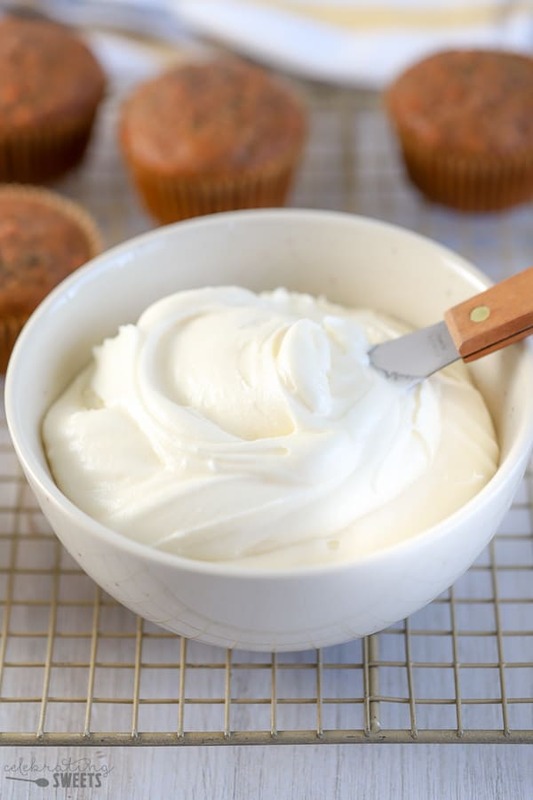 So, here it is: my favorite fluffy, sweet and velvety-smooth CREAM CHEESE FROSTING! It’s easy, delicious, and the perfect topping for so many tasty treats (suggestions below). 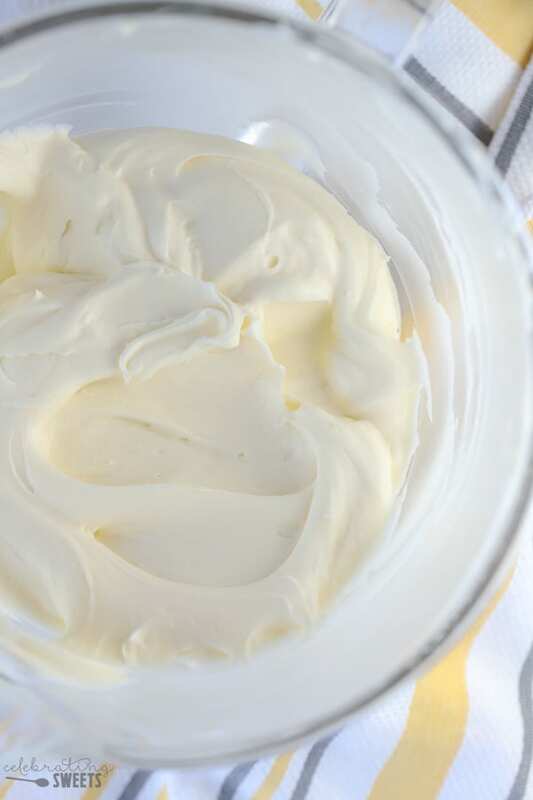 Cream Cheese: I use 12 ounces of softened cream cheese (1 1/2 blocks) for this recipe. I like using full-fat regular cream cheese, but reduced fat (Neufchâtel Cheese) can be used if that’s your preference. Butter: Half a cup of softened butter adds a rich flavor and texture to this frosting. Although it is “cream cheese” frosting, it still needs a bit of butter. Powdered Sugar: This serves as the sweetener and thickener. I use around 4 cups. I recommend having a little extra on hand in case you want to make the frosting thicker. 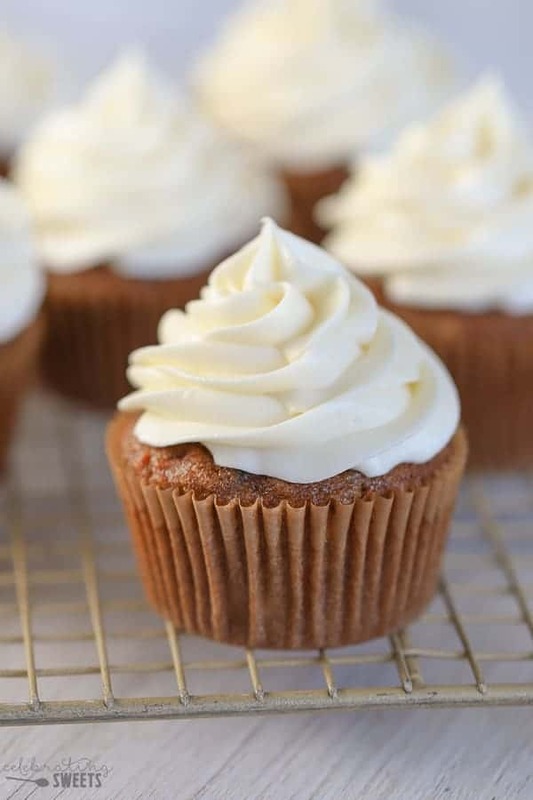 Vanilla Extract: Pure vanilla extract extract adds a classic flavor to the frosting and pairs wonderfully with the tang of the cream cheese. 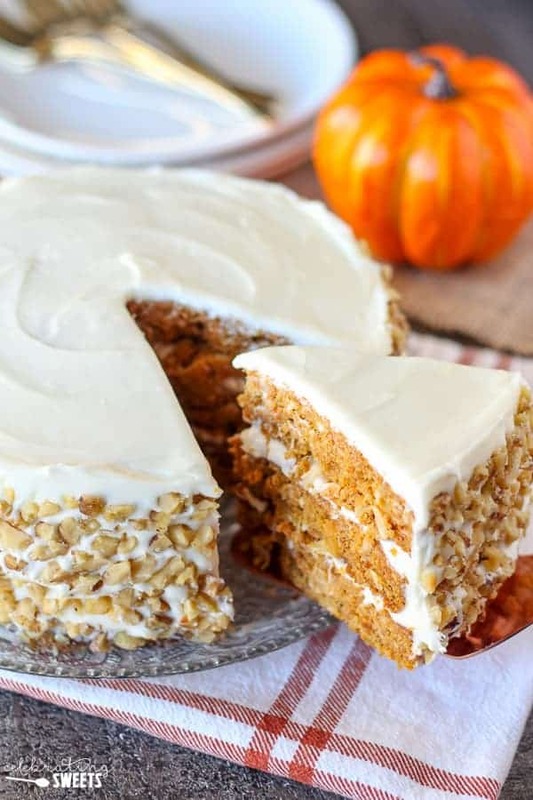 Almond Extract (optional): I love a little splash of almond extract in cream cheese frosting. It makes it taste like bakery or wedding cake frosting, it adds a very subtle smooth and sweet flavor. Feel free to leave this out or increase the amount if you prefer a strong almond flavor. 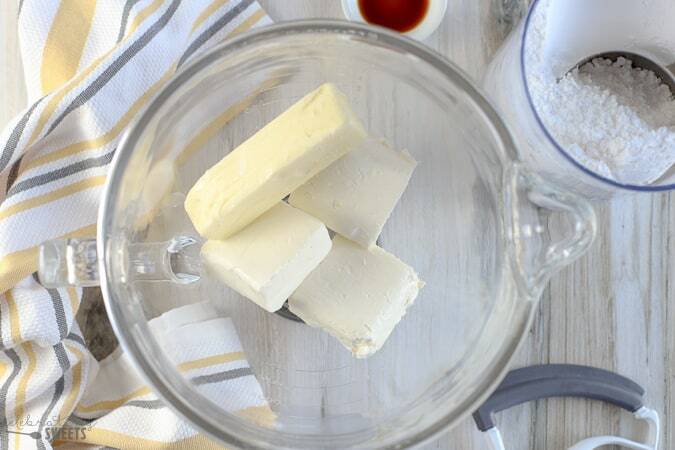 Using a hand mixer or stand mixer, start by combining the cream cheese, butter and a pinch of salt. Beat until completely smooth. Add the powdered sugar one cup at a time, beating well between each addition. Be sure to scrape the sides and bottom of the bowl, and the beaters throughout this process. Beat in the vanilla and almond extract. Whip it at high speed for a minute or two. The result? Fluffy, creamy, PERFECT frosting! In order to make frosting fluffy, you need to incorporate air into it. This recipe starts with creaming the cream cheese and butter, which is the first step to getting fluffy frosting. Then, add the powdered sugar, a cup at a time, beating well (and incorporating air) between each addition. Lastly, beat the frosting on high speed for a minute or two until it is super light and fluffy. This frosting is softer than a typical buttercream-like frosting. If you are having trouble getting the frosting thick enough, you can stick it in the fridge for 30 minutes or so. If your cream cheese and butter were too warm to start with, it will be difficult to get thickened frosting without chilling. This frosting firms up beautifully when chilled. Once I have applied the frosting to cake/cupcakes/cookies etc., I like to place the items in the fridge so that the frosting can stabilize. 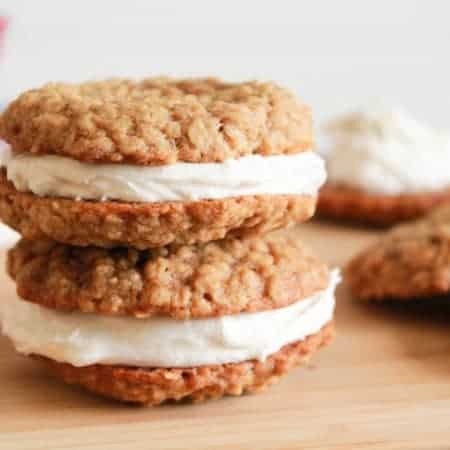 What To Put Cream Cheese Frosting On? This frosting is a fabulous topping for cake or cupcakes: Carrot, Lemon, Pumpkin, Apple, Cinnamon, Coconut, Chocolate, or Red Velvet. You can also try it on Sugar Cookies, Carrot Cake Cookies, Banana Bread, Cinnamon Rolls, Zucchini Bread, and more. Depending on what you are using it for, you can easily adjust the quantity of frosting (half or double this recipe as needed). You can also adjust the consistency of frosting by adding more powdered sugar to thicken or milk to thin it out. 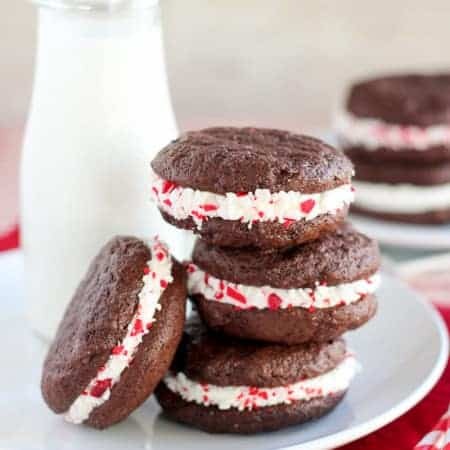 Click here for other fun ideas for using Cream Cheese Frosting. Fluffy, sweet and velvety-smooth Cream Cheese Frosting. The perfect topping for cakes, cookies, cinnamon rolls, quick breads and more. Using a hand mixer, or stand mixer fitted with the paddle attachment, beat cream cheese, butter and pinch of salt until smooth and combined. Add the powdered sugar 1 cup at a time, beating well between each addition. Periodically scrape down the bottom and sides of the bowl and beater. Add extracts and beat on high speed for at least 1-2 minutes until fluffy and smooth. Adjust the consistency by adding more powdered sugar to thicken or a splash of milk to thin. See note for tips. You can easily adjust the consistency by adding more powdered sugar to thicken or a splash of milk/half and half/cream to thin. Depending on what you are using the frosting for, you might want it thicker or thinner than written. For example: I like the frosting a little thinner if frosting a layer cake and thicker if piping frosting on cupcakes. Note: This frosting is softer than a typical buttercream-like frosting. If you are having trouble getting the frosting thick enough, you can stick it in the fridge for 30 minutes or so. If your cream cheese and butter were too warm to start with, it will be difficult to get thickened frosting without chilling. This frosting firms up beautifully when chilled. Once I have applied the frosting to cake/cupcakes/cookies etc., I like to place the items in the fridge so that the frosting can stabilize. This recipe makes about 4 cups of frosting. It is enough to frost a layer cake or 24 cupcakes. You can easily half or double this recipe as needed. This is the most versatile frosting that tastes great on everything! If you make too much, butter cream and cream cheese frosting both freeze really well too! Unthaw, stir and it’s great for cookies or a few cupcakes. 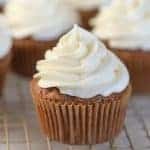 My absolutely favorite frosting and yours looks delightful!! I have never wanted to wipe my finger across frosting so much before in my life, and eat it mmm! OMG!!!! this was the best cream cheese frosting ever. Cream cheese frosting is the BEST! Yours looks absolutely perfect! This frosting looks amazing ! This frosting was great on top of the cinnamon rolls this morning. Had to come back and rave to you about how delicious these were.